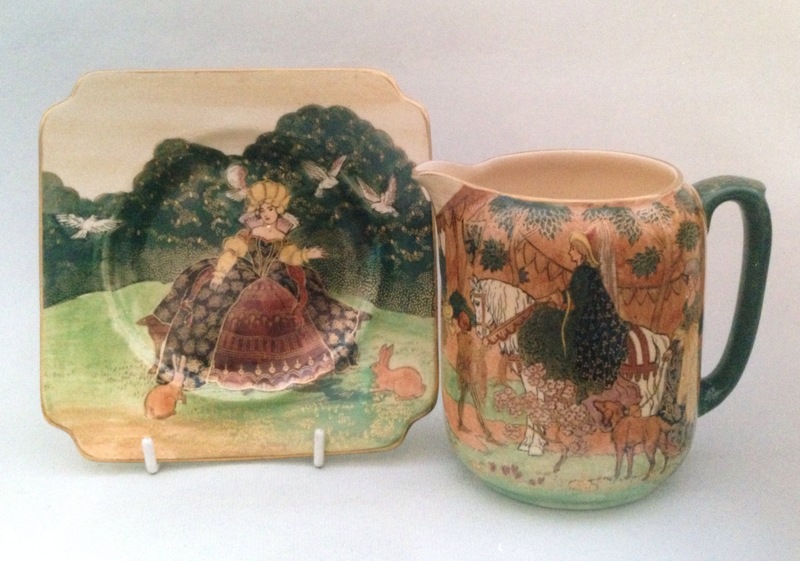 A look back at Doulton’s ‘Chivalry’ seriesware pattern. 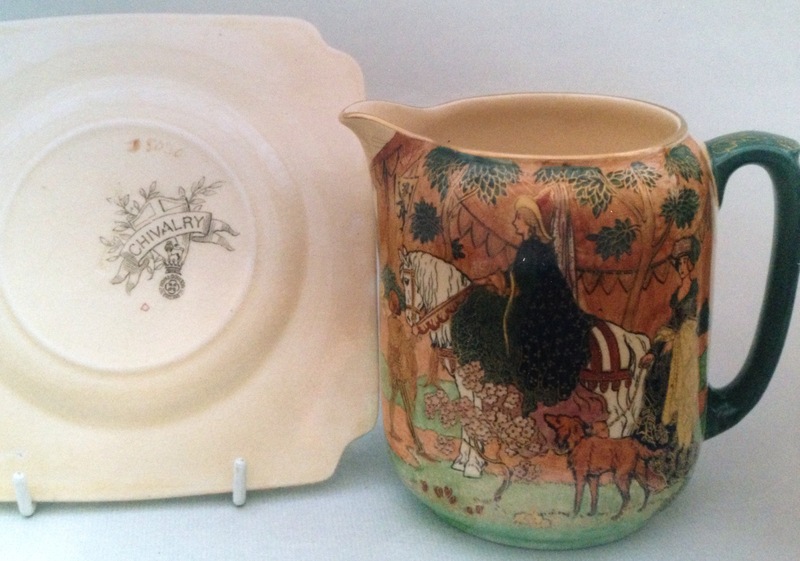 With six recorded scenes, one would expect to find more examples of this decorative pattern. In reality production must have been short, which is a real pity as a few examples provide an excellent backdrop to a display of figures. Reputedly designed by Walter Nunn, this design is particularly strong. Fortunately for collectors, this design carries a special backstamp to help with identification (as above). It can carry one of two ‘D’ numbers – 5030 or 5158. Rack plates, vases, jugs and square tea plates appear to be the most typical items found and I did see a gadrooned serving dish once too. Perhaps you collect this series? If so why not share it on our Facebook page ‘Doulton Collectors Club’.